Jim Leonhard had almost completed the slow trek from the field to the Jets' locker room when the safety shook his head slightly as a few team officials applauded. The Jets had come so close, had nearly kept their improbable postseason run going. 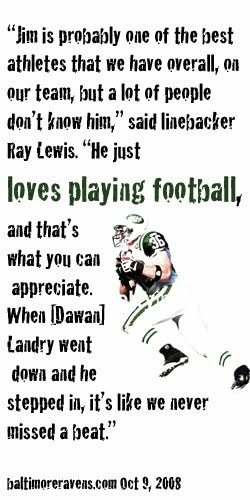 But Leonhard and his teammates were headed in to hear Rex Ryan's postgame thoughts after the team fell short in its bid to reach the Super Bowl for the first time in 41 years. "Just a lot of frustration," Leonhard said. "You come up short of your goals, so it's really hard to say anything. He understands how hard this team worked and how dedicated this team was to each other and to winning. So there's not a whole lot to say. It's too fresh a wound to say anything and make yourself feel better." "There's a lot of thoughts going through your head," Leonhard said. "You never know when an opportunity like this is going to come up again. It's one of those things where maybe this football team needed to get here and have this experience in order to take the next step. We thought we were ready this year. Maybe we weren't. "But everyone in this locker room will take this experience, learn from it and understand what they have to do going forward from this point to where we have a chance to be successful in this game."